Research shows that when the clocks go back, burglaries spike by a huge 38%! 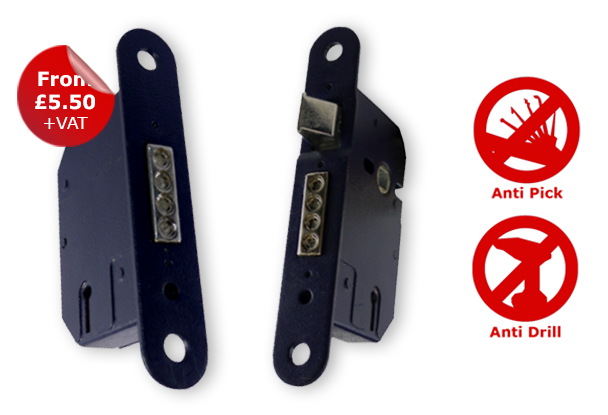 Improve your customer’s home security when they’re most at risk with the 6 Lever Kitemarked British Standard Mortice Locks range, available at CitySafe – they’re some of the most secure on locks on the market! Until the end of Tuesday 14th November, we’re offering you some serious savings so you can do just that! These are the perfect choice to improve your customer’s front door security as they come with numerous added security features that will deter even the most determined burglar. Available in either 2.5” or 3” and also available in Brass or Satin Silver. Extended key warding on both sides of the lock reduces the risk of lock picking. Anti-hacksaw facility via 4 hardened steel roller bolts in the deadlock. Tested to BS EN 12209:2003 and conforms to BS 3621:2007! Hardened steel anti-drill plates on both sides of the lock. Come with 2 keys – over 6,000 key variations available! 6 Brass Levers have anti-pick protection. Heavy duty steel box striker. When it comes to fixing and replacing mortice locks it’s essential that you’re prepared with high quality key blanks! 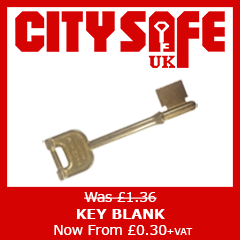 Here at CitySafe, we recommend that you have several key blanks on hand at all times. The 6 Lever Mortice Key Blank is made from solid brass meaning it will last longer and never disappoint your customers! Offering full services for door security locks is KEY to impressing your customers. With the impressive 6 Lever Mortice Lock Lever Pack – which comes with two keys – is ideal if you are constantly working with a variety of locks! 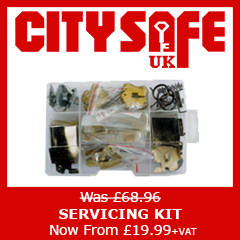 This is a complete servicing kit which covers both the 6 Lever Dead and Sash Locks. Everything you need is included – and a whole lot more! All packed in a convenient plastic case with lids and individual compartments. Remember you only have until the end of Tuesday 14th November to make the most of the above deals! Click here to improve your customer’s door security when they’re most at risk! For more information, visit our website www.citysafeuk.com! Previous Previous post: Condor Mini now available at CitySafe! 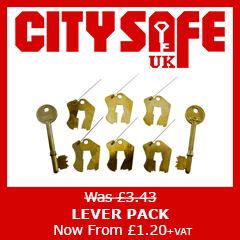 Next Next post: Get 20% off CitySafe Retail products – cylinders, padlocks & more!